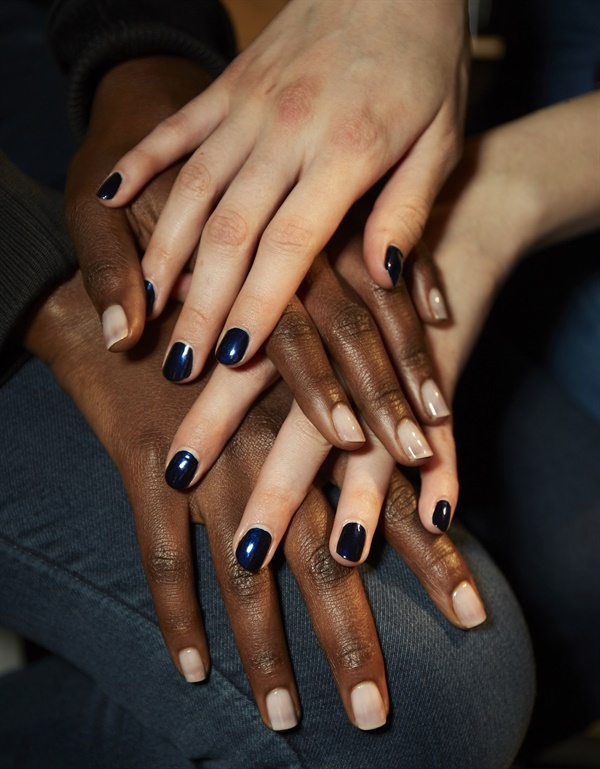 Rita Remark for Essie created two different nail looks to complement models' lip colors at the Self-Portrait runway show. 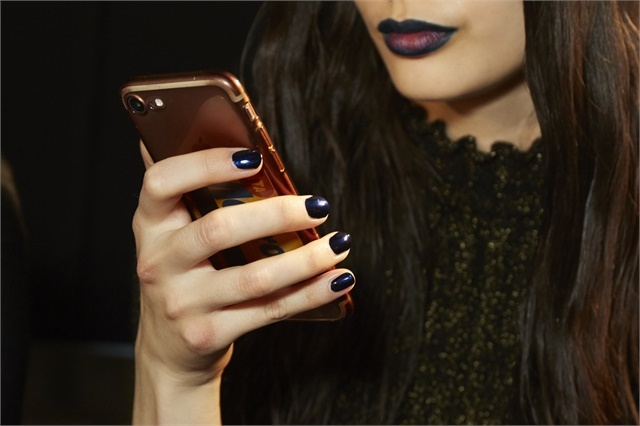 Playing off the lip looks at Self-Portrait's Fall/Winter 2018 show, Rita Remark for Essie reached for two different polish colors. 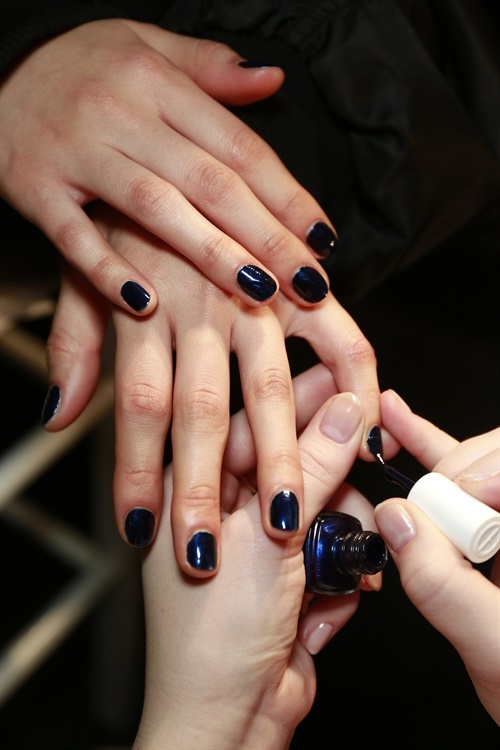 Models wearing blue lips sported a matching navy mani, while girls with natural lips received neutral nails. 2. Apply two coats of Midnight Cami (a deep twilight blue) or two coats of Skinny Dip (a light peach pink). 3. Finish with Speed.Setter Top Coat for high shine that dries in less than a minute.